This is a continuation of the posting from yesterday on failure of the "Islamization of knowledge" project, whether or not participants in that project used this particular phrase. To recap, I am classifying all efforts under this category that treat modern socioeconomic, political and legal developments neutrally, in analogy to treatments of physical sciences and engineering developments, which are neither necessarily Islamic nor non-Islamic, and the demarcation for "Islamic" solutions becomes whether or not a particular practice or institution can be "Islamized." This would include, say, "Islamic Republics" like Iran, where many of the European parliamentary and presidential machinations were borrowed, but an additional "Supreme Leader" cleric was put in place to ensure the "Islamicity" of the Republic, based on Khomeini's revival of the relatively obscure Shi`i concept of Leadership of the Cleric (vilayat-e Faqih). 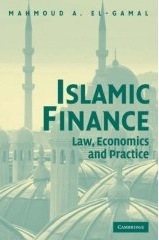 It also includes "Islamic Finance," of course, which started with Sami Homoud's "Adaptation of Banking Practice to Conform with Islamic Law," which title suggests more than simple "Islamization," but the practice resulting from which, about which I have written extensively, evolved into pure "Islamization," thus producing "Islamic" mortgages, bonds, etc. I mentioned the Iranian experience because of the explicit religious guardianship, which goes much further than the explicit Islamicity say of Pakistan, that is not materially different from Egypt which likewise stipulates in its constitution materially that all laws must be in conformity with Islamic law (although the language is a bit different). Egypt and Pakistan never officially considered themselves not to be "Islamic" for there to be an issue of "Islamization." The first problem with "Islamization," whether in the Islamic Republic of Iran or Islamic banking and finance, is that you need a certification of Islamicity, provided by the clerics in Iran and "Shari`a supervisory boards" for Islamic financial institutions. Thus, in my native Egypt, the Supreme Court (المحكمة الدستورية العليا) can strike down a law as unconstitutional if it is determined to be contrary to Islamic law, but the issue is thus determined by judges who were thoroughly trained in secular as well as Islamic law and legal theory. (Pakistan is a bit different with the Shari`a Appellate Court, so it may be seen as a hybrid between Egypt and Iran). Many Islamists see social order as non-Islamic (at the extreme as apostate, in the case of takfiris, but there is a continuum). In this regard, Tunisia is an interesting case (echoed in Libya) where polygamy has been illegal. The vast majority of Islamic scholars agree that polygamy is allowed (and I do not say all, because a tiny minority find the conditions of perfect equality between wives impossible to satisfy, and therefore conclude that polygamy is not allowed except in cases of extreme personal necessity -- such as disease -- or social necessity -- say grossly more women than men in society). Many of them, however, would say that it is possible for a secular power to restrict this permissibility as a form of regulation (تقييد المباح). Al-Qaradawi used this argument to state that if one lives in a country where the laws of the land do not permit polygamy, then because one is required to uphold these laws, and because polygamy is allowed but not mandated, it becomes un-Islamic to marry more than one in that country. Whether or not he feels the same way about an "Islamic" country banning polygamy, say for social reasons of skewed distribution with too many males. There is no doubt left that even "moderate" Islamists feel that the legal frameworks in Tunisia and Libya should permit polygamy. That would be an "Islamization" of the existing state, and this will likely extend to other areas, such as finance, etc., where official binding decisions on Islamicity would have to be issued. The office of Mufti rarely plays that role, because fatwa by definition is not binding, so one should think of the office of Grand Mufti and Supreme Court Justice all rolled into one, which was to some extent the case with Pakistan's Shari`a Appellate Court, although the latter was to some extent subsidiary to the Supreme Court. I am probably already significantly out of my depth on law, and it is a bit of a digression, but not much. The main point that I am trying to make is that although advocates of "Islamization" may view that default as neutral and check whether something can be "Islamized" to sell to clerics and more conservative Islamists, the latter interpret the situation differently: They practically consider everything by default un-Islamic unless proven otherwise. Thus, they want an "Islamic dress code" (زي إسلامي), even as they repeat general rules of modesty, and they want "Islamic finance," even as they repeat general rules about the default in financial transactions is permissibility, etc. Suspicion that something is not Islamic is easy to raise, and these conservatives (who are increasingly the proverbial "moderates") therefore want to seek fatwa on just about everything, and want to avoid gelatin, onion soup (it might have wine), and even beer-batter (where no liquid is left! ), etc. They all seek out "scholars" that suit their degree of conservatism, who become the arbiters of what is "Islamic," and that begins to apply to every aspect of individual and social behavior. Thus, the "Islamization" program has (perhaps inadvertently) enabled a worldview that is quite different from its proponents and empowered clerics with large following who can certify something as "Islamic." (For example, one is surprised by the number of highly educated Pakistanis who care only what "Justice Taqi" Usmani's opinion was on a particular financial product or institution; an authority that is apparently bequeathed not only to his son but also to other relatives, regardless of the details of the transaction and how convincing the evidence is or isn't). The result is in essence a variation on the Iranian vilayat-e faqih, except that there is no official clergy and procedures to determine competence of the fuqaha (this something that not only I, but many others have lamented about "Islamic finance," even if such a thing were needed). The incentive structure of fuqaha who have actual or potential followings is another problem that I and others have discussed in the past, and it complicates the problem further. If you start from the Abduh view that I think was optimal (at least a century ago, and of course it needs some updating based on social and legal advances that have been made in the past century), and I haven't yet argued why it is optimal, you can see why "Islamization" would therefore be a bad path to take. It emboldens the clerics that you seek to appease and makes people who would otherwise think that progress is in general Islamic (as opposed to neutral or un-Islamic until proven otherwise) would slowly start to migrate in the wrong direction. Instead of "Islamization" bringing the ultra-conservative into the mainstream and convincing them that modernity is at least neutral, it has pulled more liberal conservatives in the opposite direction. In the field of Islamic finance, this is manifest in Malaysia's early "Islamization" campaign, which helped bring many ethnic Malay out of poverty and into the middle class, including financial professionals, only later to reverse course and begin to adopt more conservative and less efficient models of "Islamization" that appeal to the cash-rich GCC conservative Islamists. The problem, I think, is that "Islamization" is operating in an environment where what is "Islam" is not a fixed target. So, as you continue to "Islamize," always staying at least one step/lag behind the frontiers of progress, new elements naturally look un-Islamic, because they coexist with what has been Islamized but were not simultaneously Islamized. So, the natural tendency is to think that things that have not already been given the label "Islamic" must be problematic for Islamization, and therefore move either from a default rule of Islamic to neutral or from a default rule of neutral to un-Islamic. Even if you speed up the pace of "Islamization" in this environment, people will therefore become skeptical much more readily, and may eventually demand "Islamization" of what you had already claimed to have been Islamized: witness the repeated "Islamizations" of the Pakistani banking system since the days of Zia ul-Haq. The incentives of clerics, who benefit from having a following, is initially to become more lenient to allow "Islamization" to take place, but then to reverse course and denounce what they had permitted: witness justice Taqi Usmani's delegitimization of 85% of sukuk, when he was widely viewed as the main legitimizer of Islamic securitization. Therefore, temporary migration of some puritans toward the mainstream financial sector maybe more than offset with eventual migration of people who used to be in the mainstream to less efficient sub economies, and it is not clear that there is much value added substantively in the entire process, because the industry is based on form-above-substance (justice Usmani was fond of giving a bait-and-switch analogy to halal meat vs regular meat, to justify the exclusive focus on procedures and indirectly justify collecting a fee for certification). The failure of "Islamization," therefore, was built into its very raison d'être. If there was a need to "Islamize" some advances, then other advances became more suspect and more in need of "Islamization," and even things that had already been Islamized now needed more or renewed Islamization. This infinite regress favored the separatist ultraconservative elements in Islamism, and helped to shift other flavors of Islamism closer to it, achieving the exact opposite of the goal of early advocates of "Islamization." The failure of the "Islamization" program is that it pandered to more conservative elements and ended up losing its way, incoherently producing social orders that neither fit modernity nor conservatism. At one extreme, highly suspect financial practices have been "Islamized," much as one may see a girl with a headscarf but very tight jeans, the former ostensibly "Islamic finance" and the latter ostensibly "Hijab." 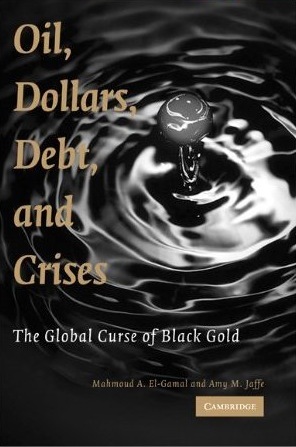 At the other extreme, people start to denounce the use of any modern finance, Islamized or otherwise, including fiat money, and demand using gold, and conservatively-dressed women start wearing formulaic "hijabs" while those who wore it start wearing the "niqab" (veil covering the face), variations of which were abandoned in the early twentieth century, in part due to the thought of Muhammad Abduh and his follower Qasim Amin. The net results is that over my own lifetime, which is getting eerily closer to half a century each day, I have observed this undeniable migration toward more conservative and assertive forms of Islamism. Its constant conjunction with attempts at "Islamization" struck me at first as efforts to moderate people's views, especially in social and legal areas. Now I see it as a sad reflection of George Bernard Shaw's infamous "marriage is the only solution to all the problems that it creates." 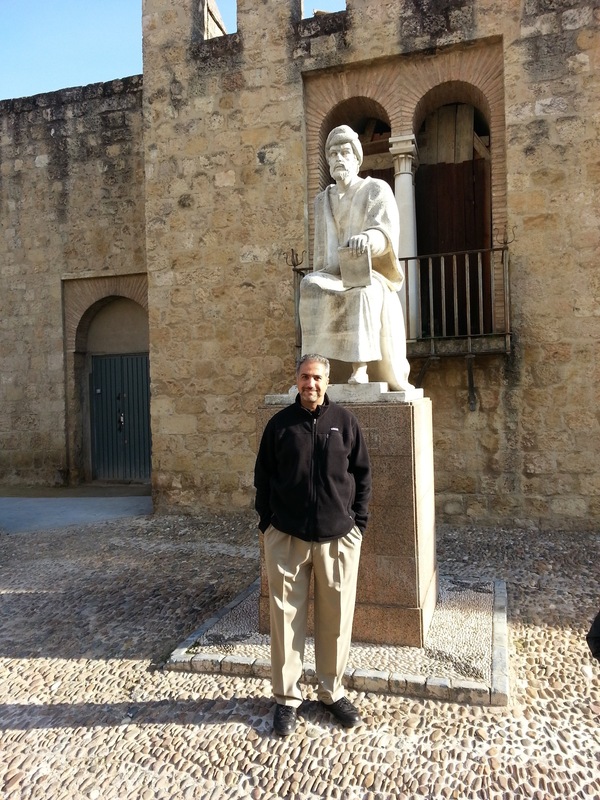 I have said with amusement that Islamic finance is a case of supply creating its own demand, and that was the mark of a great entrepreneur, but that I had a visceral dislike for it when what was marketed was essentially religion. Now, I can see the bigger problem more clearly: the supply of "Islamization" kept creating its own demand in an infinite positive-feedback-loop that is clearly unsustainable.